H.H. Lee, E. Menard, N.G. Tassi, J.A. Rogers and G.B. Blanchet, “Fabrication of Large Area Stamps, Moulds, and Conformable Photomasks for Soft Lithography,” Journal of Nanoengineering and Nanosystems 218, 1-5 (2005). S.H. Hur, C. Kocabas, A. Gaur, O.O. Park, M. Shim and J.A. Rogers, “Printed Thin Film Transistors and Complementary Logic Gates That Use Polymer Coated Single Walled Carbon Nanotube Networks,” Journal of Applied Physics 98, 114302 (2005). K. Lee, M.J. Motala, M.A. Meitl, W.R. Childs, E. Menard, J.A. Rogers, R.G. Nuzzo and A. Shim, “Large Area, Selective Transfer of Microstructured Silicon (us-Si): A Printing-based Approach to High Performance Thin Film Transistors Supported on Flexible Substrates,” Advanced Materials 17, 2332-2336 (2005). S.-H. Hur, M.-H. Yoon, A. Gaur, M. Shim, A. Facchetti, T.J. Marks and J.A. Rogers, “Organic Nanodielectrics for Low Voltage Carbon Nanotube Thin Film Transistors and Complementary Logic Gates,” Journal of the American Chemical Society 127(40), 13808-13809 (2005). Y.G.Y. Huang, W.X. Zhou, K.J. Hsia, E. Menard, J.U. Park, J.A. Rogers and A.G. Alleyne, “Stamp collapse in soft lithography,”Langmuir 21(17), 8058-8068 (2005). C. Kocabas, S.-H. Hur, A. Gaur, M. Meitl, M. Shim and J.A. 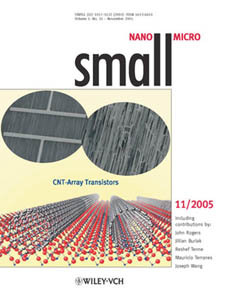 Rogers, “Guided Growth of Large Scale, Horizontally Aligned Single Walled Carbon Nanotubes and Their Use in Thin Film Transistors,” Small 1(11), 1110-1116 (2005). Y. Sun, R.A. Graff, M.S. Strano and J.A. Rogers, “Top Down Fabrication of Semiconductor Nanowires With Alternating Structures Along Their Transverse and Longitudinal Axes,”Small 1(11), 1052-1057 (2005). T.W. Lee, S. Jeon, J. Maria, J. Zaumseil, J.W.P. Hsu and J.A. Rogers, “Soft-Contact Optical Lithography Using Transparent Elastomeric Stamps: Application to Nanopatterned Organic Light-Emitting Devices,” Advanced Functional Materials 15, 1435-1439 (2005). V. Malyarchuk, F. Hua, N.H. Mack, V.T. Velasquez, J.O. White, R.G. Nuzzo and J.A. Rogers, “High Performance Plasmonic Crystal Sensor Formed by Soft Nanoimprint Lithography,”Optics Express, 13(15), 5669-5675 (2005). S.-H. Hur, O.O. Park, and J.A. Rogers, “Extreme Bendability in Single Walled Carbon Nanotube Networks Transferred from High Temperature Substrates to Plastic and Their Use in Thin Film Transistors,” Applied Physics Letters, 86, 243502 (2005). T. Ozel, A. Gaur, J.A. Rogers and M. Shim, “Polymer Electrolyte Gating of Carbon Nanotube Network Transistors,”Nano Letters, 5(5), 905-911 (2005). Z.-T. Zhu, E. Menard, K. Hurley, R.G. Nuzzo and J.A. Rogers, “Spin on Dopants for High-Performance Single-crystal Silicon Transistors on Flexible Plastic Substrates,” Applied Physics Letters, 86, 133507 (2005). E. Menard, R.G. Nuzzo and J.A. 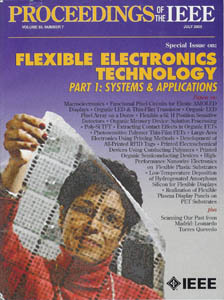 Rogers, “Bendable Single Crystal Silicon Thin Film Transistors Formed by Printing on Plastic Substrates,” Applied Physics Letters, 86, 093507 (2005). K. J. Hsia, Y. Huang, E. Menard, J.-U. Park, W. Zhou, J.A. Rogers and J.M. 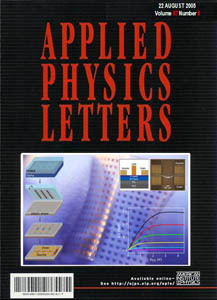 Fulton, “Collapse of Stamps for Soft Lithography by Interfacial Adhesion,” Applied Physics Letters, 86, 154106 (2005). Y. Sun, D.-Y. Khang, K. Hurley, R.G. Nuzzo and J.A. 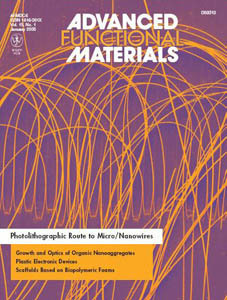 Rogers, “Photolithographic Route to The Fabrication of Micro/Nanowires of III-V Semiconductors,” Advanced Functional Materials, 15(1), 30-40 (2005).